This super-warm boot features 200g insulation, thermal-reflective liners and is rated at -25F/-32C, perfect for building snowmen, and also pretty great for kicking them over and stomping them into extra snowballs for the fight that said action might trigger. Play fair, play safe. But above all, play hard. 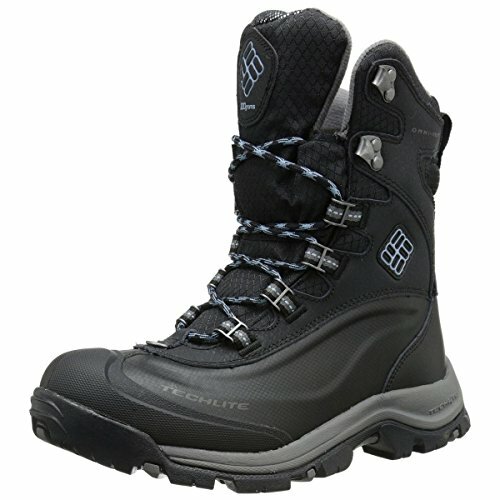 Boots with combination of leather, nylon, webbing and metal hardware upper, Techlite shell, Omni-Heat reflective lining, 200g insulation, Techlite midsole and Omni-Grip non-marking traction rubber. Material: Nylon, rubber.